Extension of the focus from Earth to Moon and terrestrial planets through compilation of information on available planetary topography models. IDEMS is hosted and operated by Environmental Systems Research Institute (Esri) (http://www.esri.com/) under the lead of Mr Kevin M Kelly (Director) and Dr Jianbin Duan (Deputy Director). The new IDEMS website is available at: https://idems.maps.arcgis.com/home/index.html. Mr Kelly is also the chair of FIG Commission 5 (Positioning and Measurement) Working Group 5.3 - Vertical Reference Frames. IDEMS offers two main digital elevation data services managed and maintained by Esri: Terrain and TopoBathy. These services provide online access to a global collection of multi-resolution and multi-source elevation and bathymetry data, including metadata and source information. This DEM data collection includes the best publicly available data and community contributed data with resolutions ranging from 1000 meters to 3 meters. The IDEMS terrain and bathymetry data are updated periodically as new datasets become available. Many other DEM data, not directly hosted by Esri, are also available on IDEMS. Access to IDEMS will not require Esri software. However, for users with Esri software – which includes many academic institutions globally – a number of pre-defined, common terrain data analysis tools become available such as data aggregation, interpolation, density, buffering, flow analysis, and more. IDEMS encourages contributions to the site from the geodetic community in any of the five product types listed above. Please contact the IDEMS Director or Deputy Director if you would like to contribute or recommend content you think appropriate for IDEMS. The technical seminar aimed at surveyors, spatial professionals, students and operational geodesists who are interested in learning more about practical aspects of reference frames from some of the world’s leading geodesists and geodetic surveyors. As well as covering reference frame basics, the two-day seminar focused particularly on dealing with deformation and datum unification. The Technical Seminar Reference Frame in Practice - Reference Frames, Datum Unification and Kinematics was held at the Rydges Latimer in Christchurch, New Zealand, on 1-2 May 2016 in conjunction with the 78th FIG Working Week 2016, 2-6 May 2016. The seminar was organized by IAG (International Association of Geodesy), FIG (Fédération Internationale des Géomètres), UN-GGIM-AP (UN Global Geospatial Information Management for Asia and the Pacific), ICG (International Committee on GNSS) and NZIS (New Zealand Institute of Surveyors). The seminar was attended by over 50 participants from 18 countries. Five participants were funded by the International Committee on Global Navigation Satellite Systems (ICG) United Nations Office for Outer Space Affairs (UNOOSA). The technical program comprised of eight technical sessions, including two focused on case studies. There were fifteen presentations given by speakers from New Zealand, Australia, Japan and USA, two presentations on behalf of sponsors: Leica and Trimble, and five brief presentations given by ICG-supported delegates from Philippines, Poland, Fiji and Nepal. The meetings were held from 16-20 November 2015 in Suva Fiji. FIG and Commission 5 was represented by Rob Sarib. Mr. Sarib was invited by the Australian Government’s Climate and Oceans Support Program in the Pacific (COSPac) to participate in discussions by contributing to the development of a “strategy document” for the PGSC. It is anticipated that a draft strategic plan will be ready for review at the Christchurch FIG Working Week in May 2015. This event is co-sponsored by IAG, (International Association of Geodesy), FIG (Fédération Internationale des Géomètres), UN Global Geospatial Information Management for Asia and the Pacific (UN-GGIM-AP), ICG (International Committee on GNSS) and Singapore Land Authority. The Organisers IAG, FIG, UN ICG, UN GGIM AP and SLA would like to thank and acknowledge the following FIG Corporate sponsors for their generous support of this event. Prof. Volker Schwieger, Chair of commission 5 making his report to the General Assembly Commission 5 had its annual meeting during the FIG Working Week 2015 in Sofia, Bulgaria, 17-21 May 2015. From a FIG Commission 5 perspective, the Congress was impressive and the Commission 5 technical program was comprehensive and extensive. Also the Annual Steering Committee Meeting was held during the XXV FIG Congress 2014. The Eight Meeting of the International Committee on Global Navigation Satellite Systems (ICG) was held in Dubai, UAE from 9 to 14 November 2013. The ICG has been formed as a result of recommendations of the UN Committee on the Peaceful Use of Outer Space (COPUOS), as ratified by the General Assembly of the UN. FIG Commission 5 and the UN-GGIM?AP (United Nations Global Geospatial Information Management ? Asia Pacific) are facilitating two workshops at the FIG Pacific Small Islands Developing States Symposium in Fiji - www.fig.net/fiji/. The ICG has been formed as a result of recommendations of the UN Committee on the Peaceful Use of Outer Space (COPUOS), as ratified by the General Assembly of the UN. The International Federation of Surveyors (FIG) is an Associate Member of the ICG. Mikael Lilje was there as the FIG representative to UNOOSA and Matt Higgins was there as FIG?s co-chair for Working Group D.
Commission 5 had its annual meeting during the FIG Working Week 2012 in Rome, Italy, 6-10 May 2012. The General Assembly appointed Prof. Volker Schwieger from Germany as the Chair Elect of Commission 5 for 2013-2014. 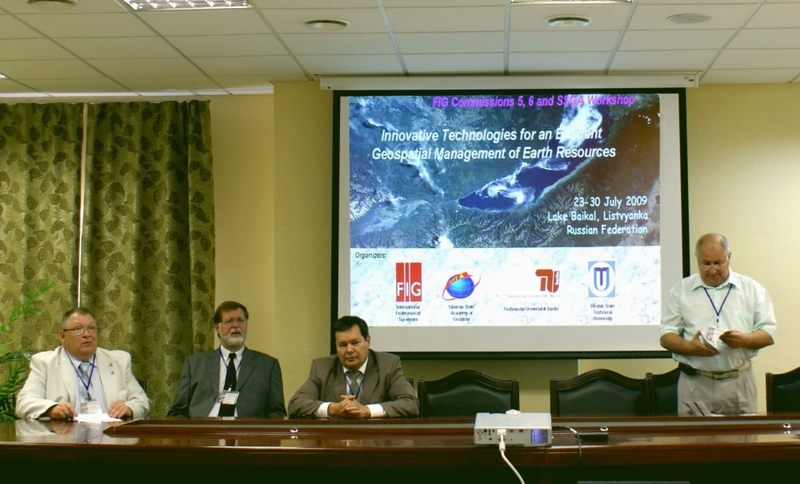 The seminar was organised by IAG (International Association of Geodesy), FIG (F? ?ation Internationale des G?m?res) and ICG (International Committee on GNSS) and was held at Cassa Geometri 4-5 May 2012 in association with the FIG Working Week, 6th - 10th May 2012, Rome, Italy. The third FIG Commissions 5 and 6 Workshop on ?Innovative Technologies for an Efficient Geospatial Management of Earth Resources? 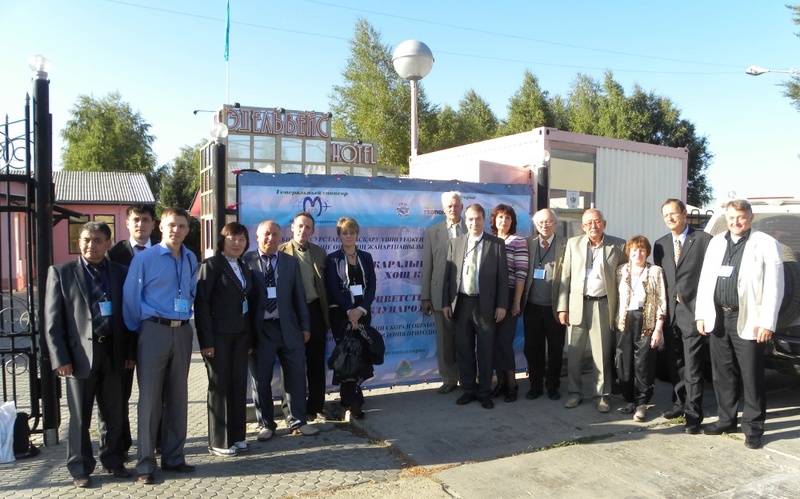 will be held for the first time in Ulaanbaatar, Mongolia, 4-8 September 2011.The Workshop is organized by the International Federation of Surveyors (FIG), Mongolian Association of Geodesy Photogrammetry & Cartography (MAGP&C) and Siberian State Academy of Geodesy (SSGA). 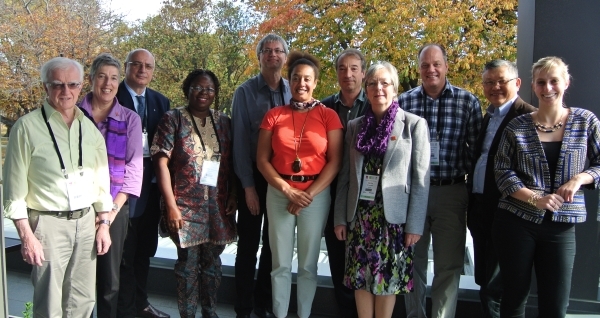 Read about Commission 5 activities at the FIG Working Week and the Commission 5 working plan for 2011-2014. 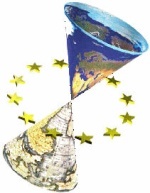 The European Space Agency (ESA) and the Technical University of Denmark is hosting the 3rd Galileo Science Colloquium in Copenhagen, Denmark, on August 31 to September 2, 2011. The Colloquium focuses on scientific applications of Galileo (and other global navigation satellite systems) as well as on sciences which can benefit the future development of Galileo. This includes topics such as geodesy, geodynamics, reference frames, atomic clocks, signal propagation, disaster monitoring, positioning, navigation etc. 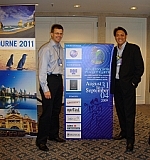 Deadline for submission of abstracts has passed April 15, 2011. Participants at the Workshop in Kazakhstan FIG Commissions 5 (Positioning and Measurement) and 6 (Engineering Surveys) together with Agency of the Republic of Kazakhstan for Land Resources Management, D. Serikbaev East Kazakhstan State Technical University (EKSTU), Siberian State Academy of Geodesy (SSGA) and Regional Scientific and Technological Park ?Altai? organised a Workshop on ?Innovative Technologies for an Efficient Geospatial Management of Earth Resources?. The Conference was attended by about 100 participants and contained almost 60 presentations. Commission 5 had its annual meeting during the FIG Congress 2010 in Sydney, Australia, 11-16 April 2010. 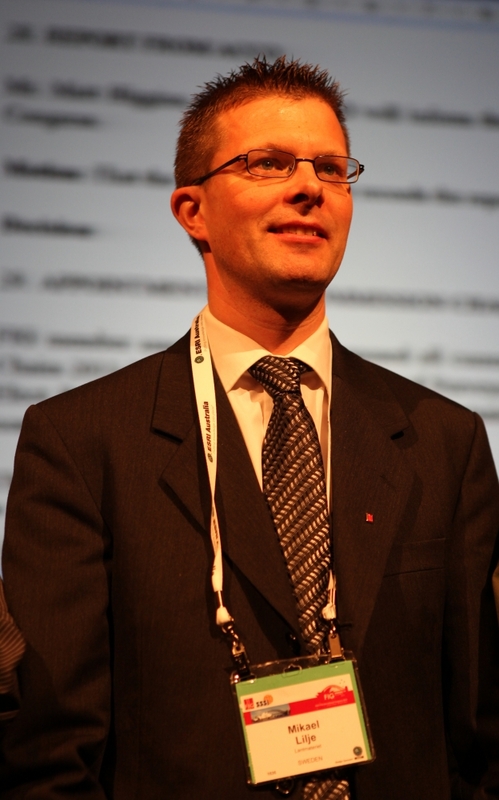 The General Assembly appointed Mr. Mikael Lilje from Sweden as the Chair of Commission 2 for 2011-2014. Read about the highlights from FIG Commission 5 2009 activities as well as a report on 1st Asia Oceania Regional Workshop on GNSS, report on "AuScope" VLBI Project Status and Report on Cost Effective GNSS. Please also notice the Call for Ideas for FIG Commission 5 Work Plan 2011-14. This Commission 5 Report provides an overview of activities at the 7th FIG Regional Conference in Hanoi, Vietnam. FIG Commission 5 coordinated several technical sessions during the Conference in the areas "Global and Regional Observing Systems and Services", "GNSS CORS Infrastructure and Standards", and "Asia Pacific Reference Frame". Please read the report at view the pictures from the conference. Report of Commission 5 activities at the FIG Working Week 2009 as a .pdf-file. Minutes of Commission 5 Steering Committee meeting in Eilat as a .pdf-file. Commission 5 Annual Report for the General Assembly as a .pdf-file. Minutes of Commission 5 Steering Committee meeting in Stockholm. Matt Higgins' detailed report as a .pdf-file. Surf your way to the new Commission 5 Position and Measurement website - "Reference Frame in Practice". This website wants you to interact with your colleagues by visiting this website regularly and for you to contribute relevant reference frame information to this website. Any interesting and emerging reference frame news, issues or topics are welcomed OR even feedback on how to improve this site….. so please visit this web portal and email your suggestions or comments to our Commission 5 representatives mikael.lilje@lm.se and robert.sarib@nt.gov.au. New: A paper on "New GNSS Developments and their Impact on Survey Service Providers and Surveyors" by Chris Rizos (President of IAG Commission 4), Matt Higgins (Chair FIG Commission 5) and Steve Hewitson. This paper was presented at SSC2005 Spatial Intelligence, Innovation and Praxis: The national biennial Conference of the Spatial Sciences Institute, September 2005. Melbourne. Report of the meeting on the use and applications of Global Navigation Satellite Systems (GNSS) hosted by the United Nations Office for Outer Space Affairs (UN OOSA) and also supported by the State Department of the USA. The meetings arise from recommendations of the UN Committee on the Peaceful Use of Outer Space (COPUOS), as ratified by the General Assembly of the UN. Matt Higgins, Chair of Commission 5 attended the 2004 meeting representing FIG. Matt Higgins presentation at the UN/USA International Meeting - An Update on GNSS Issues from the International Federation of Surveyors, handouts of ppt-presentation.